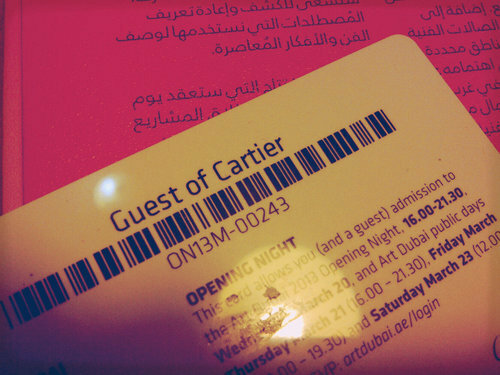 After Design Days, I now received a VIP Ticket for Art Dubai! I love it! I always wanted to visit this event, sadly I was only able to visit last 2010, and i really loved all the artwork that was displayed. This year, as the Art Community continues to grow in this region, I am very excited to see what are the amazing art pieces that will be exhibited. “Over the last six years, Art Dubai, the leading international art fair in the MENASA (Middle East/North Africa/South Asia), has become a cornerstone of the region’s booming contemporary art community. In 2012, Art Dubai welcomed 22,500 visitors – including 75 international museums groups – and hosted 75 galleries from 32 countries. 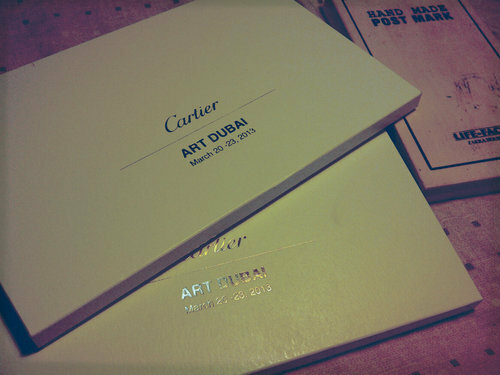 The seventh edition of Art Dubai takes place March 20-23, 2013, at Madinat Jumeirah. Besides the gallery halls, the fair’s extensive programme will include commissionedprojects and performances, artists’ and curators’residencies, educational workshops, the unveiling of works by the winners of the annual The Abraaj Group Art Prize and the critically acclaimed Global Art Forum.